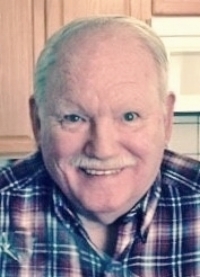 Edward B. Daveler, Jr. — Workman Funeral Homes, Inc.
Edward B. Daveler, Jr., 83, of Elizabethtown, passed away on Friday, August 10, 2018 at home. He was the husband of Betty J. Mahan Daveler with whom he celebrated their 61st wedding anniversary on June 8, 2018. He was born in Lancaster, son of the late Edward B., Sr. and Mable Clark Daveler. A graduate of JP McCaskey High School, Class of 1952, he also received a degree in Advanced Transportation and was employed by Armstrong Cork Company; Sperry New Holland; and Traffic Service Bureau before his retirement in 1996. He enjoyed his golf trips with his coworkers and family vacations to Myrtle Beach, SC. He very much enjoyed his cross-country trip with his family, which gave him many fond memories. Surviving in addition to his wife, his children: Bruce E. (Amy Jo) Daveler; Michael A. (Karen) Daveler; and Beth C. Daveler (companion of Louis Matsikas). One granddaughter: Delaney Jo Daveler. One step-grandson: C.J. Reed. Two step-great grandchildren: Alexus and Alex Reed. The Celebration of Life Gathering will be held at Trinity Reformed United Church of Christ, 450 West Main Street, Mountville on SUNDAY, SEPTEMBER 9, 2018 at 2:00 P.M. Private interment will be held for the family at Silver Spring Cemetery. Please omit flowers. Memorial contributions may be made in his memory to: Northwest EMS, Inc., PO Box 384, Elizabethtown, PA 17022. Arrangements by the Workman Funeral Homes, Inc., Mountville/Columbia. To send an online condolence, visit the condolence page.